The Lightning connector and USB port allow you to quickly charge two devices at the same time. 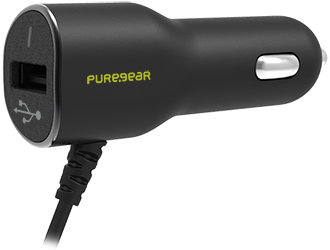 Use the USB port to charge Bluetooth headsets, portable gaming systems, GPS units, and more. Charges one 2.4 amp on Apple Lightning connector and 1 amp device on USB port.